NEROCA FC have unveiled their coach for the upcoming I-League season. 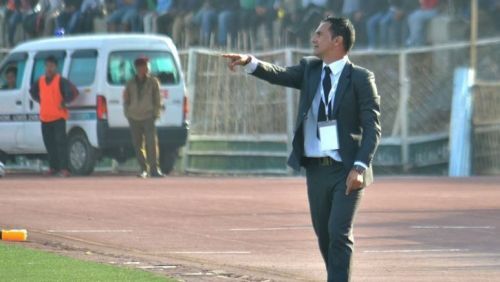 Last year's runners-up have roped in former Aizawl FC gaffer Manuel Retamero Fraile as their head coach for the 2018/19 season. Manuel Retamero Fraile is a Spanish coach who has had a previous stint in I-League. Fraile started his coaching career in Spain and has most notably coached Real Valladolid B. The Spaniard has also served as the technical director of Bahrain, who are drawn alongside India in their AFC Asian Cup group. In India, he has also served as the head coach of Aizawl FC, where he was let go after just six games due to poor form in the 2015/16 I-League season. He went on to join Ulanbataar FC of the Mongolian Premier League, while Aizawl got relegated that campaign. However, the Mizo club were brought back to the top flight by the All India Football Federation (AIFF) next season, as they went on to win their maiden title under Khalid Jamil. Last year's runners-up were left without a coach after Aizawl FC recruited Gift Raikhan to their cause. NEROCA has now responded by appointing Fraile as the new boss at the Khunam Lampak. There may be some skepticism surrounding the appointment of Manuel Retamero, as his previous stint in the I-league didn't go according to plan. However, both Fraile and NEROCA will be hoping that his current stint ends up better than his previous one. NEROCA FC will look to once again challenge for the I-League title in the 2018/19 campaign. However, their title challenge took a dip before it even began when Aizawl FC managed to attract NEROCA's head coach Gift Raikhan. NEROCA have quickly responded and brought in Fraile, who will be looking to prove is doubters wrong the second time around.